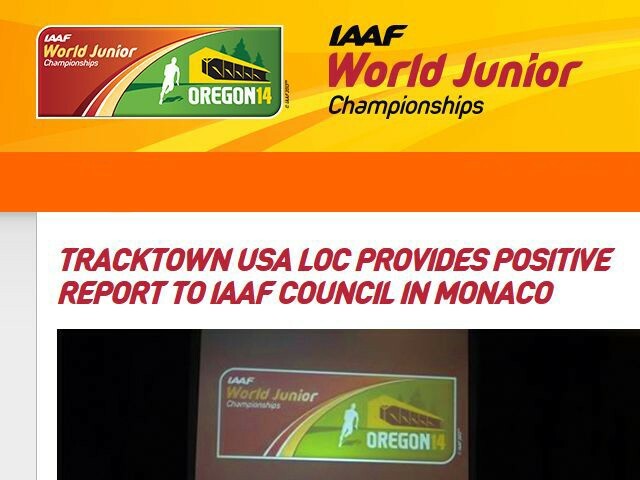 With the deadline for the preliminary entries now closed, the 2014 IAAF World Junior Championships, which will be held between July 22-27 in Eugene, Oregon, is set to be the biggest ever IAAF event to be held on US soil. In terms of athletes, the biggest ever World Athletics Series (WAS) event hosted by the US was the 1992 IAAF World Cross Country Championships in Boston, where 580 athletes from around the world competed. Based on member federations, the biggest WAS event to be held in the USA was the 1987 IAAF World Indoor Championships in Indianapolis, where 84 nations took part. But this year’s IAAF World Junior Championships is set to surpass both of those marks, as 177 member federations have expressed interest in the championships, with 1758 athletes provisionally entered. As these are preliminary entries, the final numbers will marginally differ, but even with the expected slight drop in figures, this year’s World Junior Championships will still easily become the biggest IAAF World Athletics Series event in the USA. “We couldn’t be more excited for this fantastic event and to welcome our guests from around the world,” said Vin Lananna, president of the local organising committee for the IAAF World Junior Championships.